Shilpi Jain is a Professor of Business Administration in the Information Technology Department at FORE School of Management, and the faculty chair of Computer Center Advisory and Purchase Committee. She also serves on the institutions’ Faculty Committee & Research Committee. Her current research is in applied and empirical user behavior on social media & e-commerce, digital inclusion at grassroots level, and adoption of disruptive technologies which includes digital currency, gamification, and enterprise systems on cloud. At present, she is a co-chair of a funded longitudinal policy research project which aims to evaluate the impact of internet connectivity in rural India and its’ influence on the regularization of Rural Telecom ISPs. She has held research positions in a variety of functional areas. During her stint at Infosys Research Labs, she has designed prototypes for virtual team training platform enabling paired programming, country risk analysis framework, and dynamic resource sharing across geographies. She chairs several executive education programs on e-commerce strategies, managing business on cloud, data summarization, and business storytelling with data. 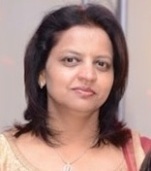 A regular author in National Newspaper, she has coauthored numerous business case studies and research articles in journals including Ivey Publishing, ACRC, ACRJ, and Team Performance Management. She has been presenting her research in conferences of repute like ICSE, PACIS, AMCIS, and ANZAM. Digital Commerce & Data Security, SaaS, Enterprise Systems on Cloud, Digital Inclusion, and Social Web Analytics. 1. Pallavi Srivastava, Shilpi Jain, (2017) "A leadership framework for distributed self-organized scrum teams", Team Performance Management: An International Journal, Vol. 23 Issue: 5/6, pp.293-314, https://doi.org/10.1108/TPM-06-2016-0033. 2. Aeron, P., & Jain, S. (2016). Antecedents of Online Trust towards e-Retailers for Repeat Buyers: An Empirical Study in Indian Context. Australia and New Zealand Academy of Management Conference (ANZAM 2016). Brisbane, 6-9 December 2016. 3. Jain, S., Jaiswal, M.P. (2015) “Birlasoft Inc. - Sales Force Automation at Crisis: Software as a Service (SaaS) or Software as a Product (SaaP).” A Teaching case published at Asian Case Research Journal (ACRJ), Singapore, Vol. 19 (2). 4. Jain, S., & Purohit, A. (2015). Estimating Earned Business Value for Agile Projects using Relative Scoring Method. FORE International Operations Conference. New Delhi. 5. Jain, S., Aeron, P. (2015) “The Extent of Adoption of HRIS: An Empirical Investigation with Mediators & Moderators”, Presented at Twenty-first Americas Conference on Information Systems (AMCIS 2015), Puerto Rico. 7. Kumar, Manish, Jain, Shilpi, Payyavula, Sheetal, Fernandez, Jude, Purohit, Avitash (2014), “Project Characteristics and their Measures: Towards a comprehensive reference framework” in The International Workshop of Information Technology and Internet Finance (IWITF 2014) at Pacific Asia Conference of Information Systems (PACIS 2014) , June 24 – 28, Chengdu, China. 8. Jain, Shilpi; Babar, Muhammad Ali; Fernandez, Jude (2013), Conducting Empirical Studies in Industry: Balancing Rigor and Relevance, in 1st International Workshop on Conducting Empirical Studies in Industry (CESI) –International Conference in Software Engineering (ICSE 2013) , May 18-26, San Francisco, CA. 9. Jain, S., Agnihotram, G., Fernandez, J. (2012-13) “Dynamics of Distributed Project Management Challenges: Predictive Model”. Presented at 7th ISDSI & 5th OSCM International Conference. New Delhi, 28-30 December 2013. Jain, S., & Srivastava, P. (2009). Management of Multi Alliances for Innovation: Sona Koyo Steering Systems Limited Initiatives. Asian Journal of Management Cases (AJMC), vol. 6:2, 135-156.